David has been racing on the road and track since 1995. He has raced with a number of top-level amateur teams, the US U23 national team, and three different Division III professional teams between the years 2000 to 2004. While pursuing his undergraduate degree at Miami University in Oxford, Ohio, David won a national collegiate championship and placed on the podium at the 2002 Under-23 national time trial championships. After graduating, David raced as a professional cyclist for two successful seasons before settling in Austin to pursue new career opportunities. Since then he has medaled at the elite national time trial championships, and won an elite national criterium championship as well as masters national pursuit championship. David drives the methodology behind Durata Training’s cycling coaching and fitting services. David’s biomechanical approach to bike fitting is a combination of both his experience—gleaned from ten-plus years of perfecting cycling and triathlon cycling positions—and his expertise using the Retül fit system, which provides three-dimensional motion capture technology. David understands his athletes lead important lives aside from their time on two wheels. His athletes excel competitively while still maintaining a healthy balance between family, work, and social demands. 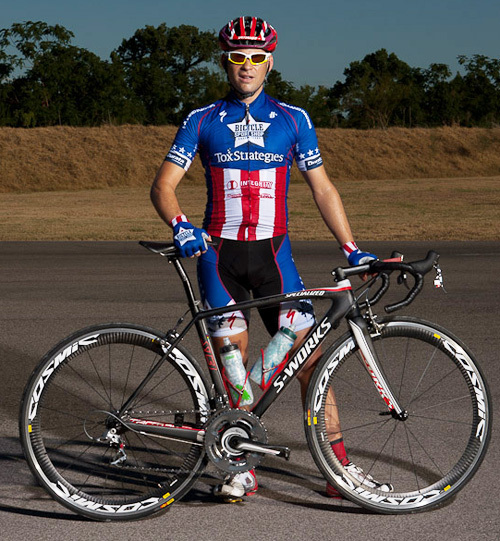 In 2007 David was part of a group of close friends that founded Super Squadra, an amateur team based in Austin, Texas focused on riding, racing, and teaching bike racing. The team has won four national titles and put riders into the pro, as well as world tour ranks, through it’s clinics and racing activities. USA Cycling selected David to manage it’s Talent Identification programs in 2010 for the South Central region, which has blossomed into national and international coaching as well as directing opportunities for him. In 2014, along with buddy Zac Lytle, the duo completed the ultimate task for two men: they ate 2014 tacos in one year.